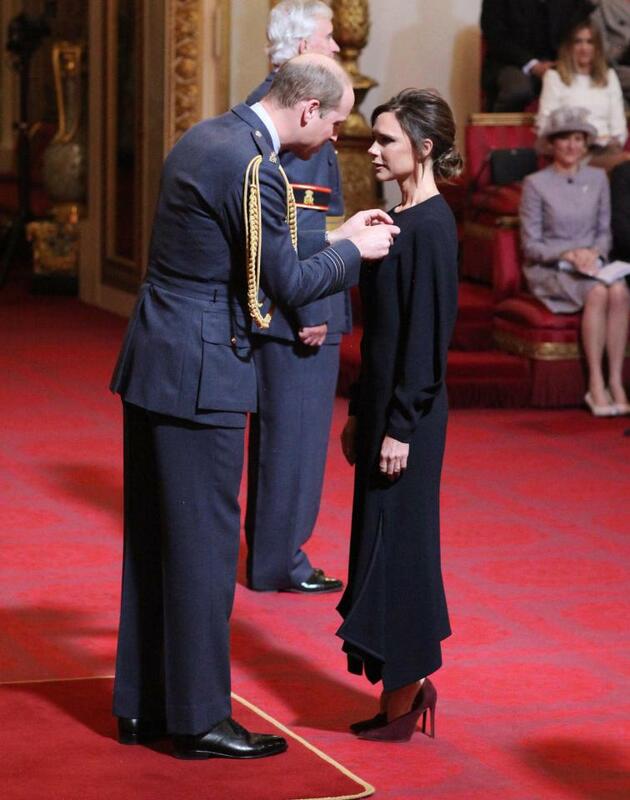 Fashion designer Victoria Beckham was recognised for her charity works recently The former Spicy Girl was awarded an Order of the British Empire (OBE) by Prince William at Buckingham Palace in London. 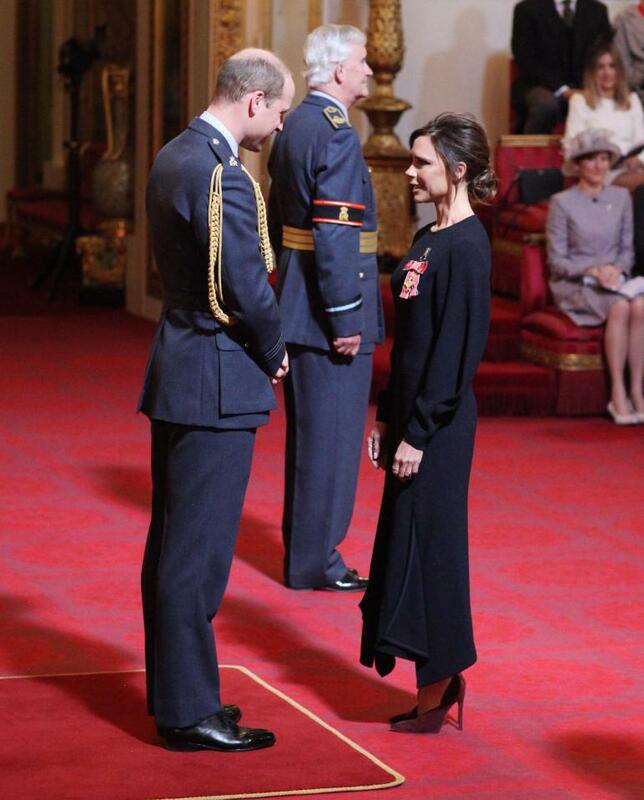 It was an absolute pleasure to be at Buckingham Palace today,” Beckham, 43 said in a statement. 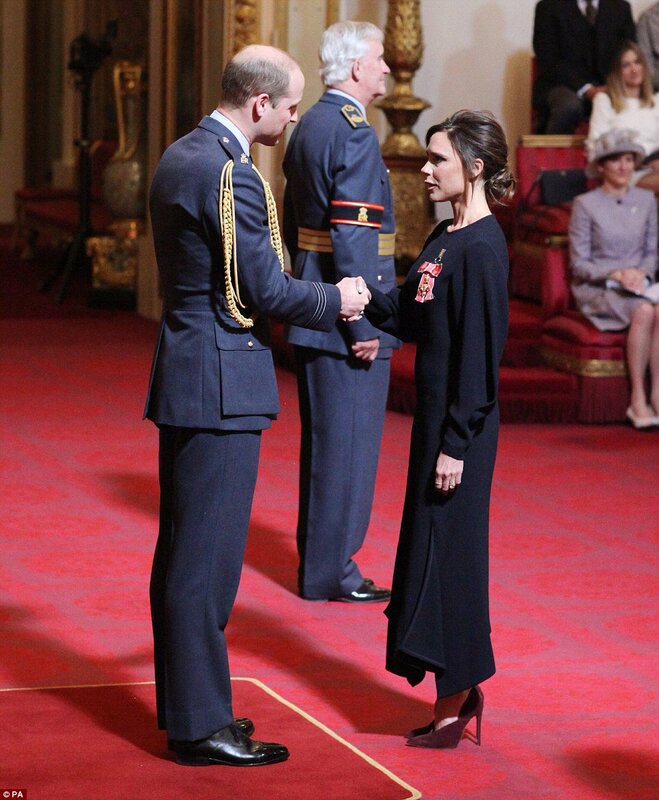 “I’m proud to be British, honored and humbled to receive my OBE from the Duke of Cambridge. 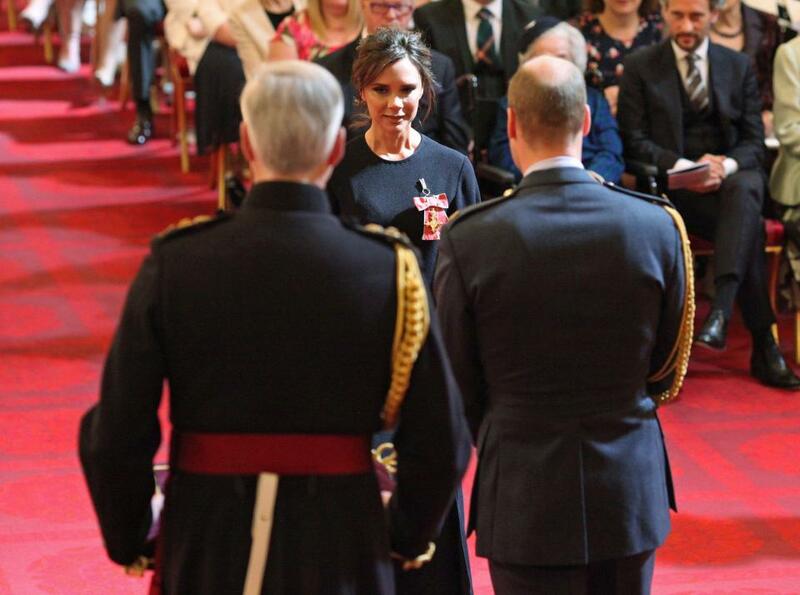 If you dream big and work hard, you can accomplish great things.” Victoria’s husband David Beckham was likewise made an OBE in 2003. Recall that Beckham became UN goodwill ambassador in 2014.